The S-BRITE Center is the first resident center of the Center for Aging Infrastructure (CAI). It focuses specifically on the steel bridge sector of our nation's aging infrastructure. 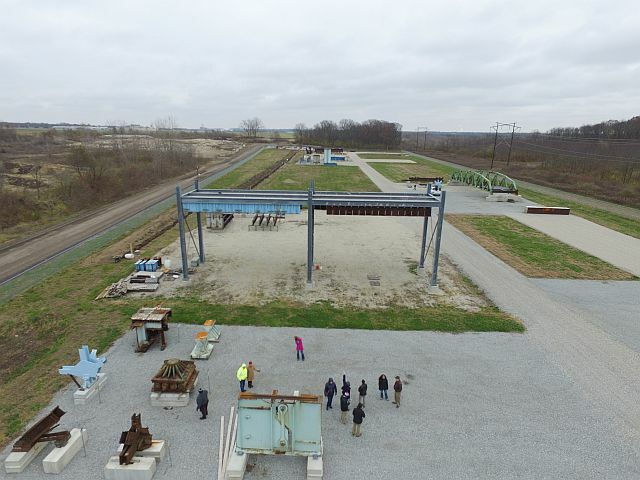 Information about CAI's phases of development, including what is currently developed, future development, and an archive of construction photos, can be viewed by clicking on the "Construction of CAI and S-BRITE Center" link or photo below. The S-BRITE Center Bridge Component Gallery boasts two full span bridges and a number of sections of bridges taken from service. This rare collection provides for a unique training ground. Learn more about the BCG by clicking on the link or photo below. 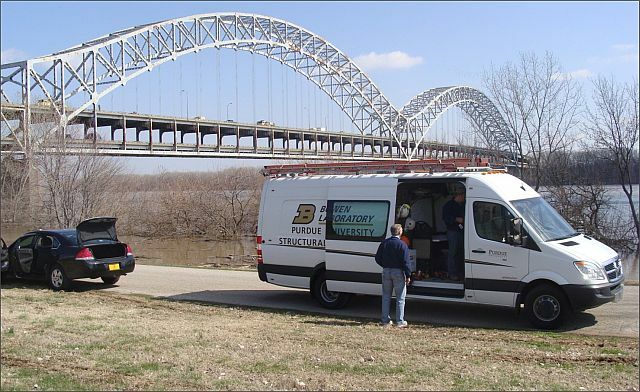 The S-BRITE field vehicle provides an exceptional resource to the S-BRITE researchers enabling field testing and investigation of bridges, including rapid and emergency response. Click on the "Field Vehicle" link or photo below to learn more about this S-BRITE Resource.